Exactly what I've been looking for. 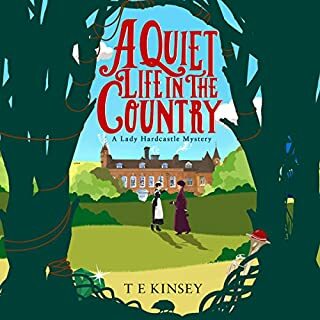 A modern day English village murder mystery in the classic style of Agatha Christie. Well written, excellent narration and great characters. The stories are enjoyable and there's a laugh or two along the way. So pleased I found this series and I'll be downloading the lot! Three short stories. Two engaging characters who investigate possible murders without blatant nosiness. Likeable narration. narator was superb. good story. easy to follow and listen to. looking forward to next. Definitely Cosy Mysteries. Nice easy listening. Neil Dudgeons voice drops a bit low and makes it hard to hear sometimes but other wise okay. I loved it,,buying 4-6,story was simple but gripping. Narration very good ,easy to listen to. This is such a wonderful Series. I am so glad I found Cherringham. Neil Dudgeon is amazing. Enjoyed this series of three short mysteries. I especially liked the second in the series. 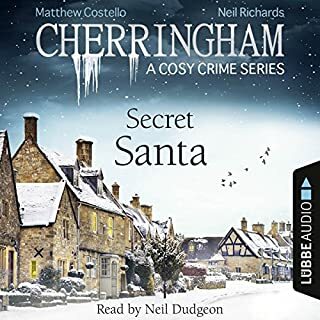 Jack, a retired NYPD detective from New York, teams with Sarah, a young woman recently returned to Cherringham, to solve questionable deaths. Jack and Sarah are likable characters without any romantic tension, at least in these stories. Sarah's young children and her parents are featured characters. I will definitely continue with the series, even though short stories are not necessarily my favorites. Neil Dundgeon is an excellent reader, though I found Jack's American accent a bit flat. I enjoyed the stories so much. It is so hard to find clean, funny and entertaining books. I love Neil Dudgeon's performance. He does not overdo the voices. I cannot handle a man trying to sound too much like a woman and visa versa. He leaves that to our imagination, which is so much better. A book of three mysteries set in the Cotswolds. Each is not so long that one finds it tiresome. Longer than a short story, shorter than a full novel. But just long enough for the complexity of the stories. Sarah is a 30-something divorced mother of two, who owns a web design firm. Jack is an American, widowed, mid-50s, retired NYPD detective who lives on a barge at the edge of the village. Both are somewhat at loose ends. The relationship begins when Sarah's friend Sammi is found dead near Jack's boat, and she visits to ask if he saw anything the night Sammi died. From there, the series has the two becoming friends, and sleuthing in the village. For such a small place, there sure are a lot of suspicious deaths! But that's how these mystery towns are, I suppose. The peripheral characters are fun, too. Sarah's parents, her two kids, personal assistant, and the various villagers we meet along the way. The stories are somewhat predictable, but enjoyable nevertheless. I do hope that the two of them become romantically involved at some point in the series, but it's not vital to the plot line. The audio is annoying in some places. The narrator, while wonderful, raises and lowers the volume of his voice quite frequently. That's good for intrigue, and maybe ok if one is listening on headphones, it means that those of us listening in the car keep missing bits here and there when he gets really quiet. Rewind, raise the volume, listen again, lower the volume, and continue. Yes, I already bought the second volume and am looking forward to listening some more. Story and storytelling is excellent. Three short mysteries with highly likable characters. Well worth my time and money. 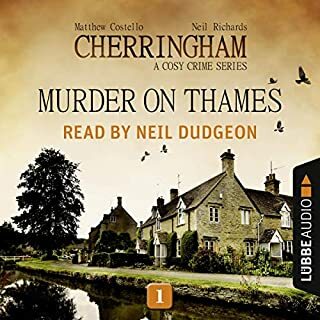 The Cherringham Mysteries was surprisingly good. I enjoyed all three episodes and bought the next 3 in the series. Great light listening for fans of BBC/PBS style cozies. Dudgeon is a good reader/performer. You may recognize his voice from "Midsommer Murders" on tv. No gore or perversion so far. I agree with most of the other reviews entered here. The stories are engaging who-done-its. Pleasant listening. The music at the beginning and end of the episodes is a bit annoying, but would not stop me from listening. I recommend this series if you like mysteries, but you avoid writing with foul language and descriptive sexual situations, (as I do). I will be putting the next compilation in my cart! I took a chance on this book -- never heard of it or the authors, but when I saw that Neil Dudgeon was narrating, I couldn't resist. 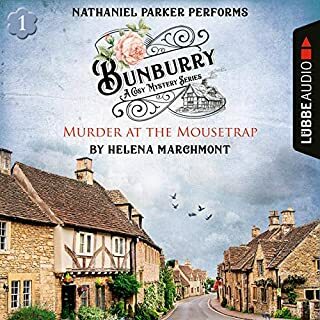 A bit of Midsomer to listen to? Maybe. I was still a little reluctant, though, because I never buy books of short stories, which this purportedly was. Still.... Neil Dudgeon? Let's try it out. I was about half through before I went back to Audible, and bought ALL the books in this series. It's THAT good! I've never done that before, bought them all, at once. But this series is worth it. Cherryham is an English village in which a widowed American detective has retired. That's the basic plot. But things happen in this allegedly peaceful little community -- and now there's someone to investigate, which he will, if pressed. 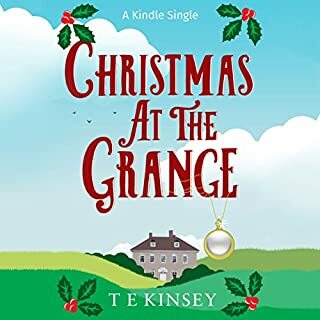 He teams up with Sarah, a mother and web designer, and the two find themselves in the midst of things most dreadful -- not a lot of gore or violence, just British murder, as refined as it gets. I see people are comparing the series to Agatha Christie, or Angela Lansbury's Cabot Cove, but a better parallel just happens to be my favorite of all time. the "Simon Serrailler" books by Susan Hill. In that series, Serrailler is a sophisticated, gentlemanly sort of detective, but the real stars are all the people in his large and fascinating family as well as the community at large. The books are pleasurable because it's like visiting old friends, catching up with what they're involved with at the moment. That's also true of Cherryingham, we get to meet all types of village people, one after the other, and -- basically -- assess their ability to carry of a very discreet murder or two. It's great fun. And that's where the "short story" thing is resolved -- all the stories feature the same village, same lead characters, just different villagers, different crimes. It's all of a piece -- and what a piece it is! And best of all? Neil Dudgeon as narrator. I was right about how good it is to listen to him. He's pitch perfect, impossible to improve on. I wish he would narrate a great many more books, he's a natural. Love British village mysteries? These books are a fine treat! Neil Dudgeon narrates the cosy into the mysteries. A plump Chair,fireplace and glass of wine and each story would be an evening with good friends. Charming stories about the length of novellas, rather than full length novels. Very likable characters. Neil Dudgeon is the perfect reader and it is in great part why I've purchased the remaining stories. 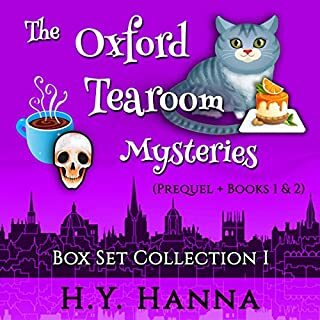 This is my first foray into British cozy mysteries. 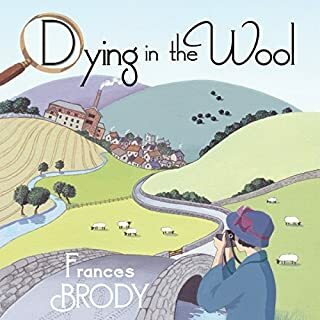 This series isn't Margery Allingham or Ngaio Marsh, but it is well written, it is not too implausible, and there are no howling errors of British life or language use which can be so annoying. It is a pleasant listen, enough story to be gripping but not requiring too much emotional commitment. You do actually feel engaged in the story. The performance is excellent. Crime is the genre I enjoy the most from Agatha Christie and PD James to Damian Boyd and Val McDermott, but I normally dislike short stories or novellas even if written by the great and the good however I genuinely loved these.. Very light well written and well rounded stories and characters, perfect for when your gardening or walking the dogs. Will be purchasing the rest. Yes. Light, enjoyable, easy listening. Everything ends just as you hope without any real unpleasantness! 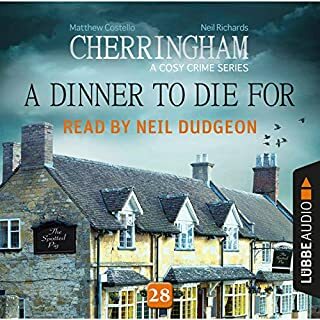 What other book might you compare Cherringham - A Cosy Crime Series Compilation (Cherringham 1 - 3) to, and why? What does Neil Dudgeon bring to the story that you wouldn’t experience if you had only read the book? Excellent reading - really lifts these everyday stories into another league. His accents and characterisation are brilliant. Not sure I would have been quite so anxious to follow onto the next series without his masterful and entertaining delivery. For me, Neil Dudgeon IS Jack. Yes, just never had enough time! Probably not the best stories you'll ever read, a little predictable and following a set formula but Neil Dudgeon does such a good job on the reading that I found the stories grew on me and I would happily buy more if they were available. I thought this would not be a great choice but these three stories were a delight after so many modern murder stories with their blood and gore. Although this may not be picture post card England there was a reassuring cosiness to these tales and an important very English humour that is often not found in other modern English detective stories. It makes a pleasant change. Miss Marple meets Agatha Raisin/Midsomer Murders. I loved the first instalments of this series and will definitely download the others. If you are looking for a gritty crime thriller this is not for you but it is the listening equivalent of Sunday evening TV. Perfect holiday reading. 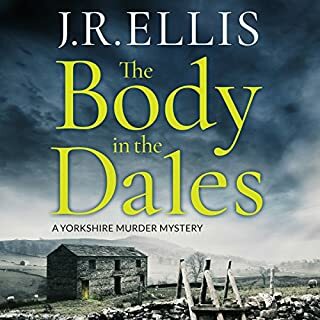 I listen to lots of crime thrillers...sometimes I need to have a break from the serious stuff and this was just the ticket as they say 😀 light and refreshing, not demanding or heart stopping. I shall download the next 3 episodes. 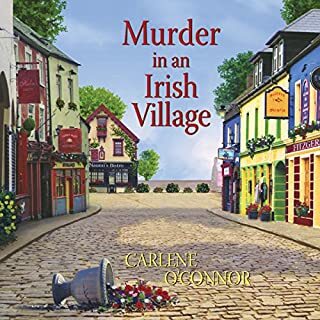 Easy listening, classic chocolate box village, dark secret hiding inhabitants, a muder or 2 and a few red herrings and a li!keable pair of sleuths. Murderer not obvious, always a good sign of a murder mystery. Neil Dudgeon is an excellent narrator. 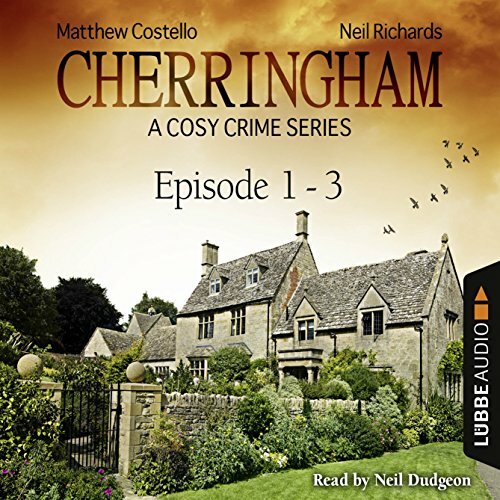 What did you like most about Cherringham - A Cosy Crime Series Compilation (Cherringham 1 - 3)? It’s a good quality, undemanding, afternoon television sort of book and none the worse for that. Perfect for listening between more demanding books. The book is good for popping in and out of over a few days. enjoyed this book so much. stories are just long enough to Potter around the house doing a clean whilst listening and not get bored or lost in the story lines. never a dull moment. Neil dudgeon is fab as well. just got the whole series so looking forward to listening to the rest. anyone who likes a good old fashion who's done it will love these.